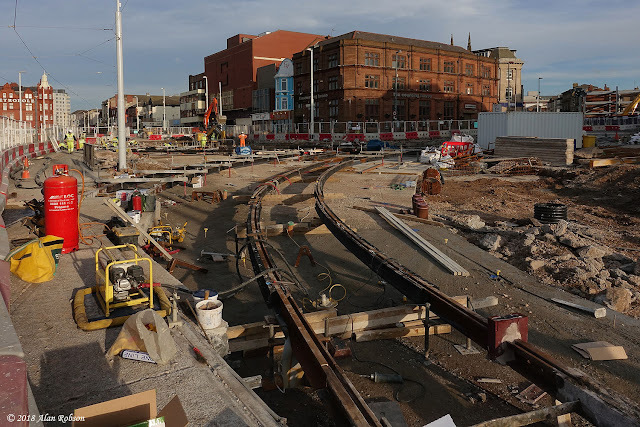 A panoramic photo of Talbot Square taken on 17th December, showing an overall view of the new junction. 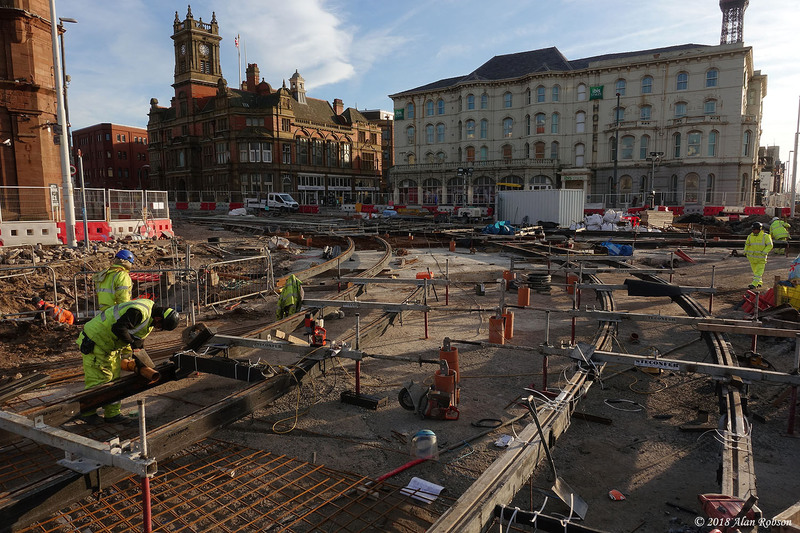 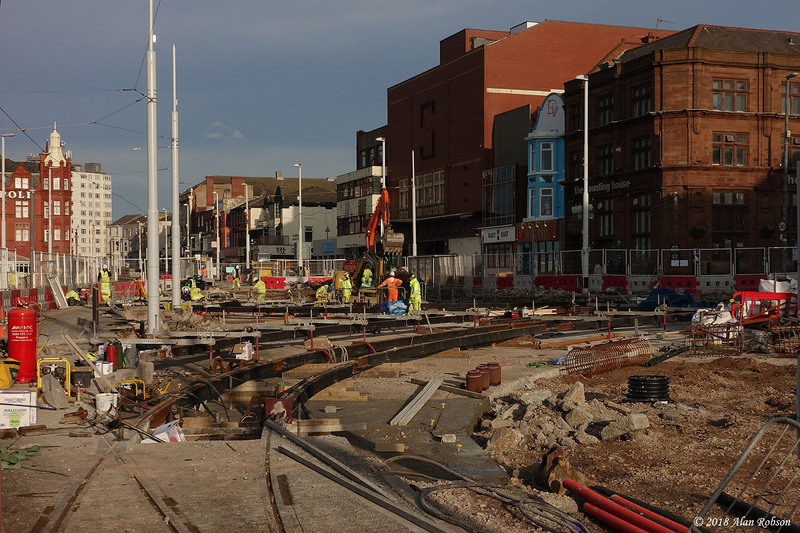 None of the four lines from the Promenade are joined to the new Talbot Square pointwork yet, the contractors are concentrating on concreting in place the curved rails connected to the Promenade points first. The North Station tramway extension contractors have been busy laying the track work for the junction with the Promenade at Talbot Square this week. 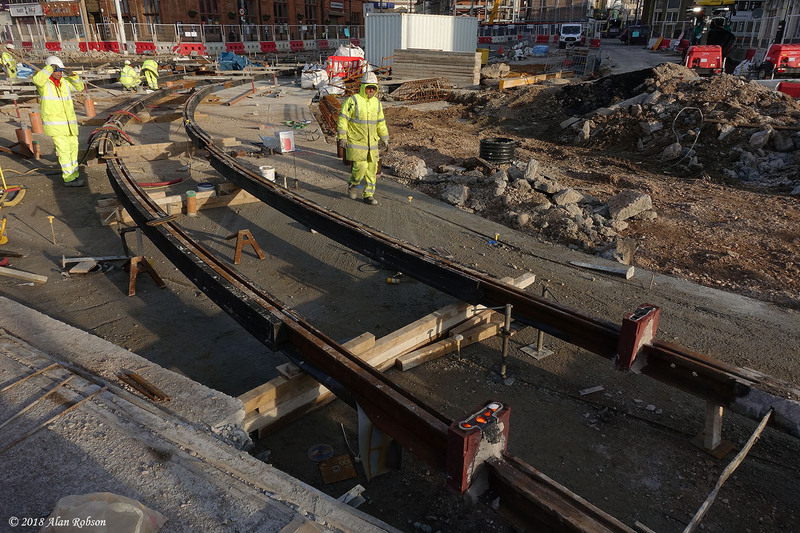 The curved sections of rail that join to the existing Promenade line points are being welded in place first, this will allow the contractors to adjust the remaining sections of curved rail so that they align correctly with the newly laid pointwork in the centre of Talbot Square. 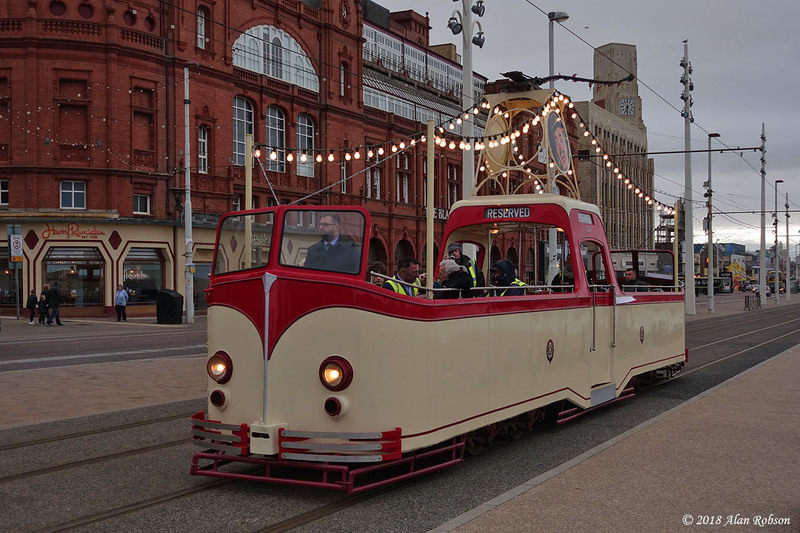 Coronation 304 made a couple of test runs on the Promenade this afternoon. 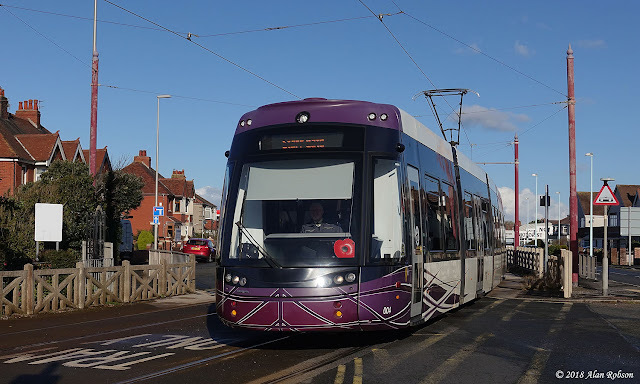 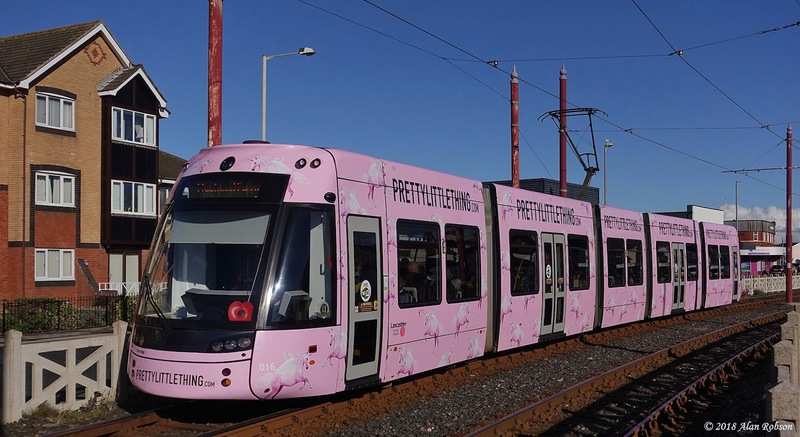 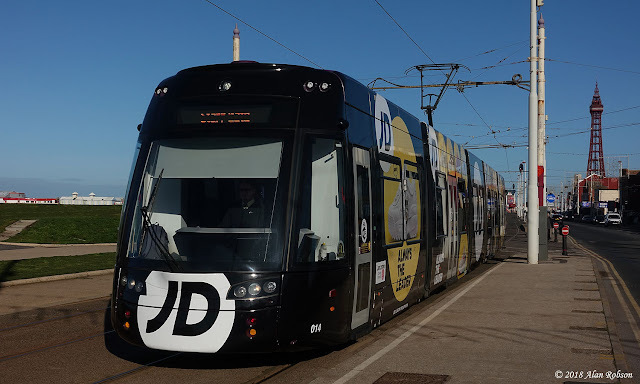 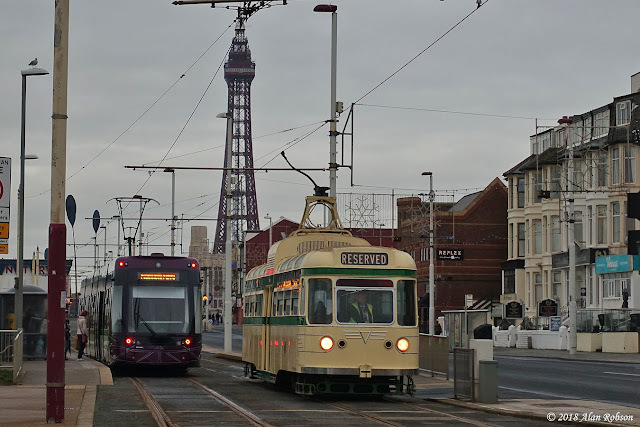 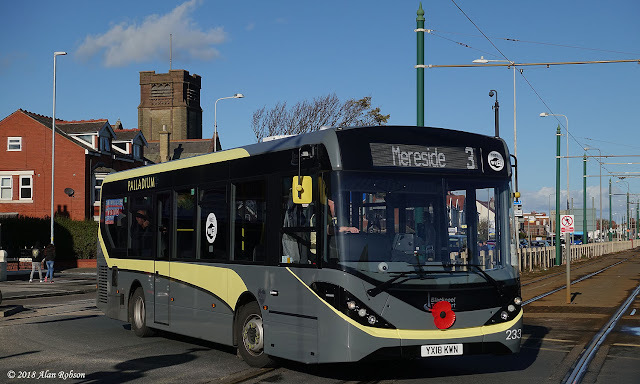 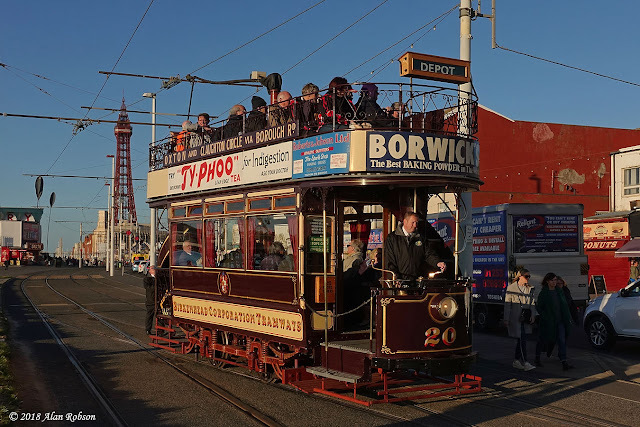 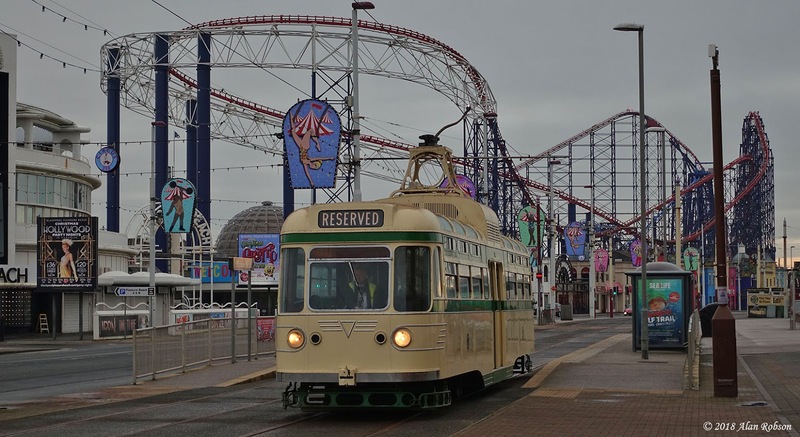 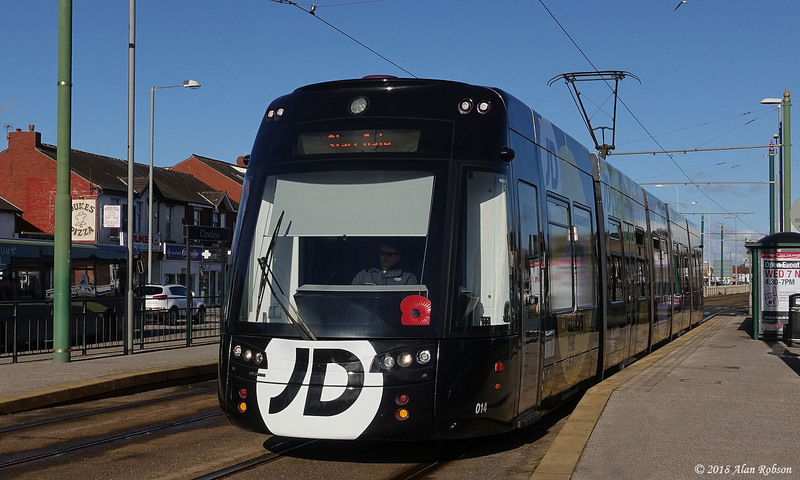 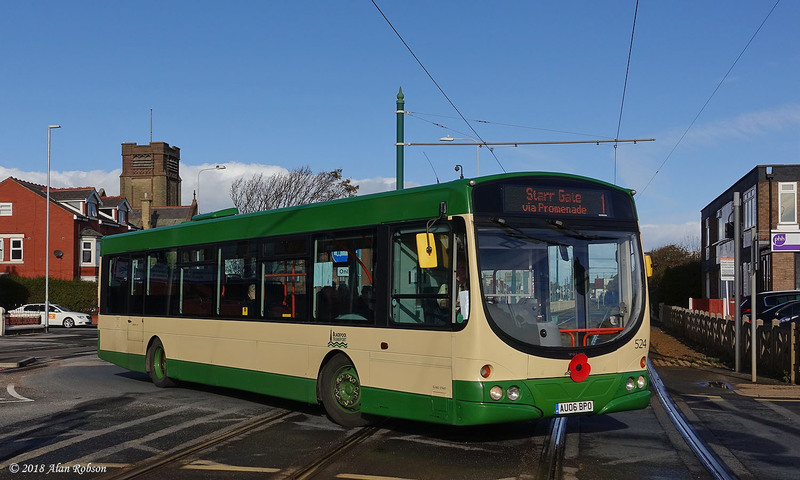 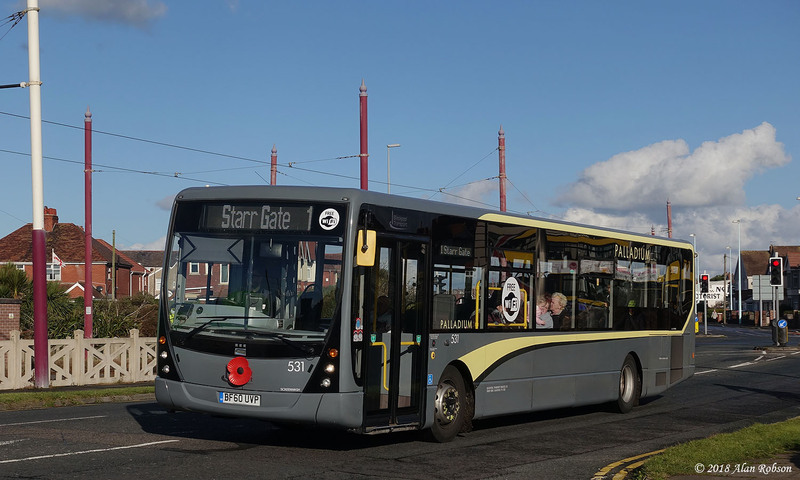 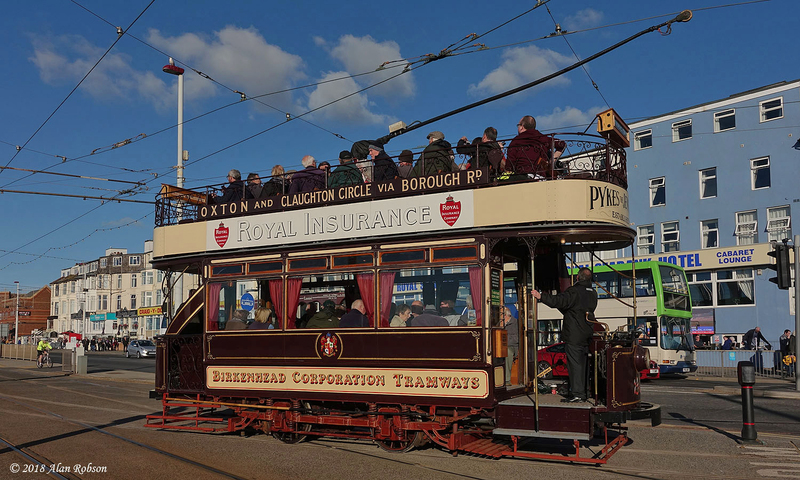 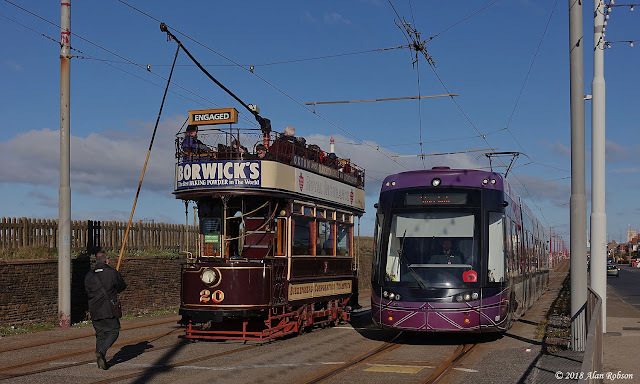 The Fylde Transport Trust owned tram was having its Vambac control and 24 volt inverter charging systems tested following the fitting of new batteries. 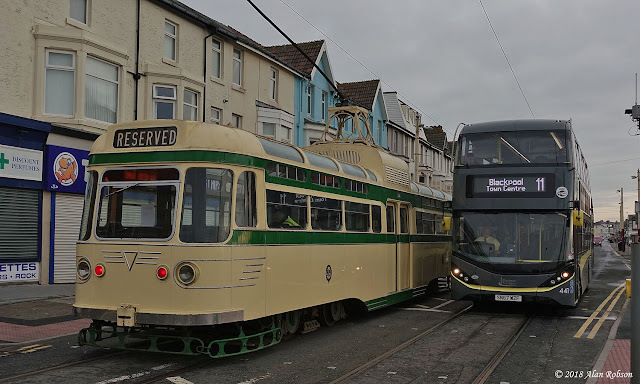 304 made two round trips between Foxhall Square and the Pleasure Beach before returning to Rigby Road depot after a successful outing. 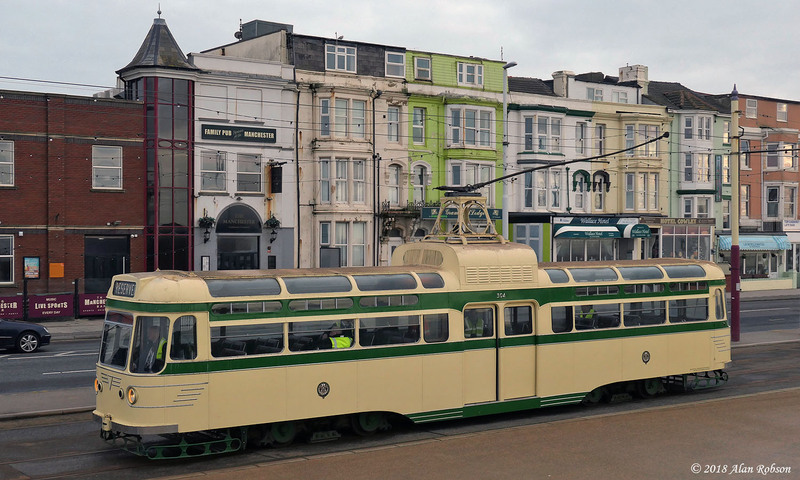 This is the first occasion that 304 has been out on the Promenade since 2016. 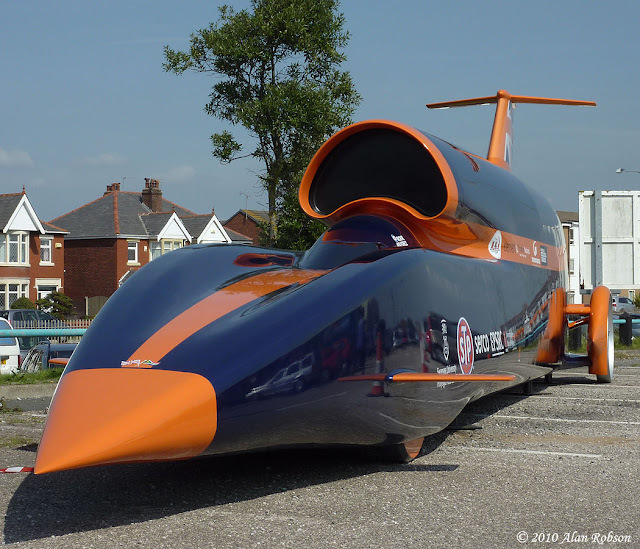 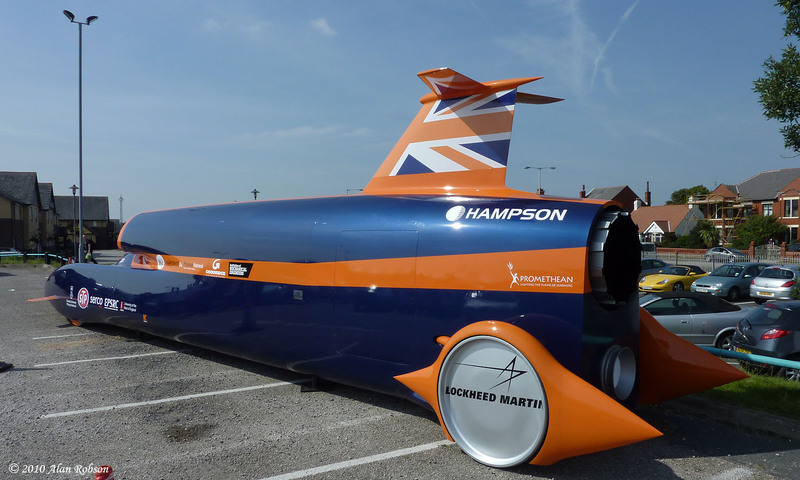 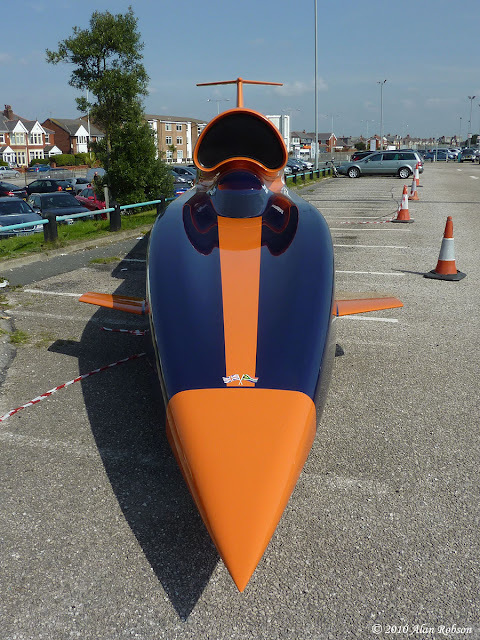 With today's sad news that the Bloodhound SSC supersonic car project has finally been axed, it's time to look back at some photos of the Bloodhound mock-up that visited Blackpool back in 2010. The mock-up of the Bloodhound SSC was on public display at Blackpool Airport at Squires Gate on 3rd September 2010, during a UK fund raising tour to try and raise public awareness for the project and generate sponsorship. 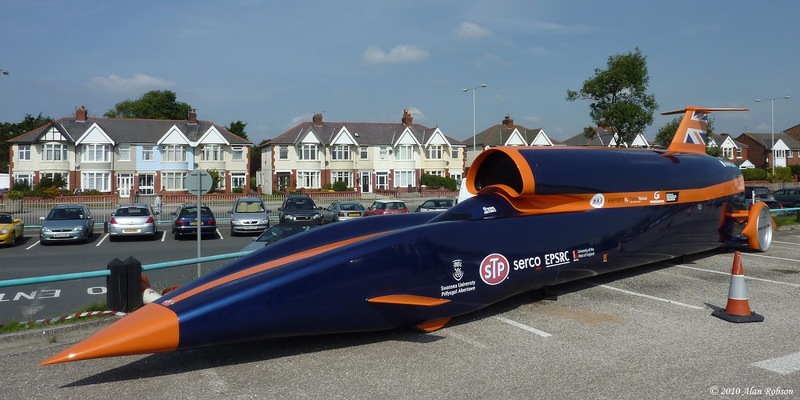 The project went into administration in October this year, still some £25 million short of the amount needed to make an attempt on the 1,000 mph land speed record. See www.bloodhoundssc.com for more info while the website is still active. 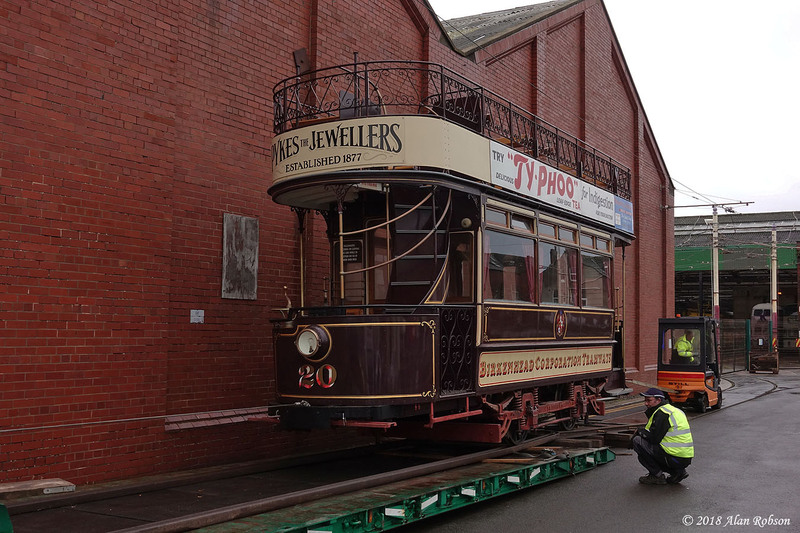 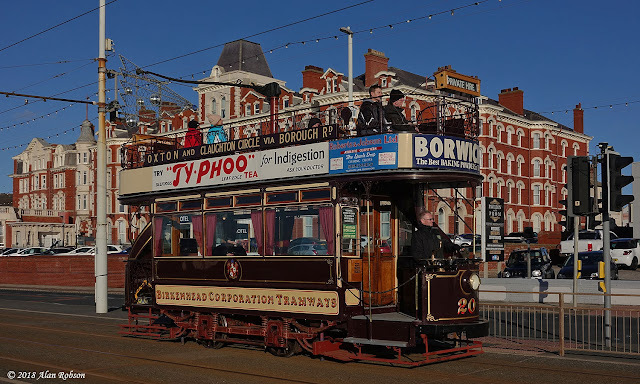 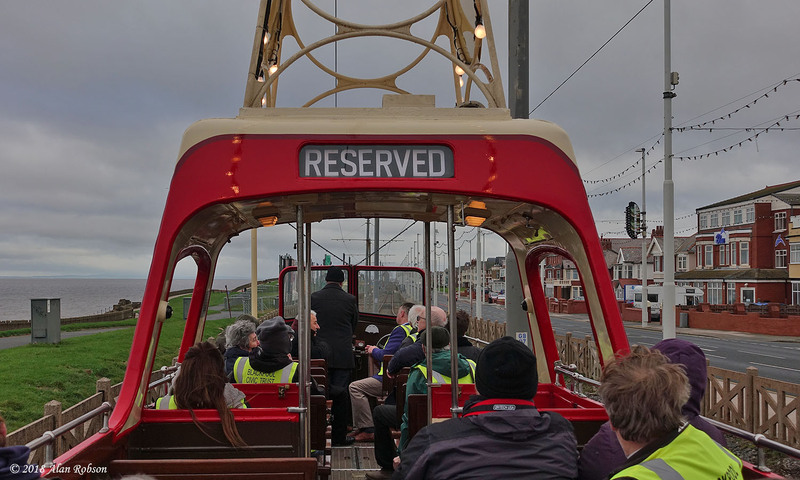 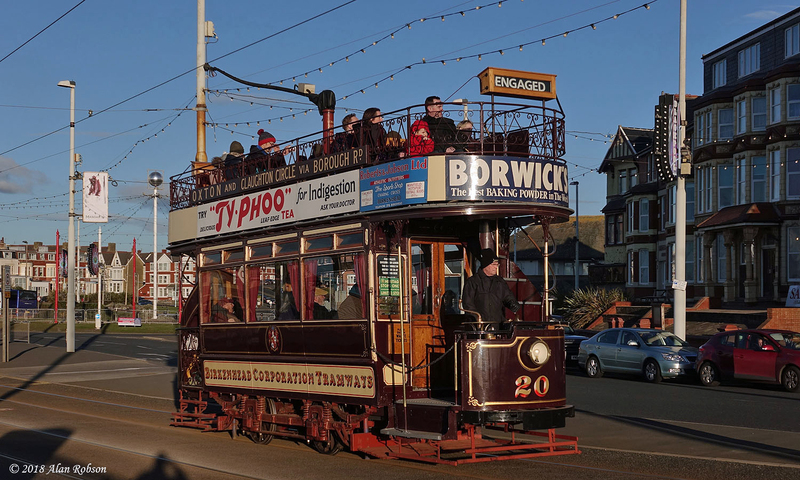 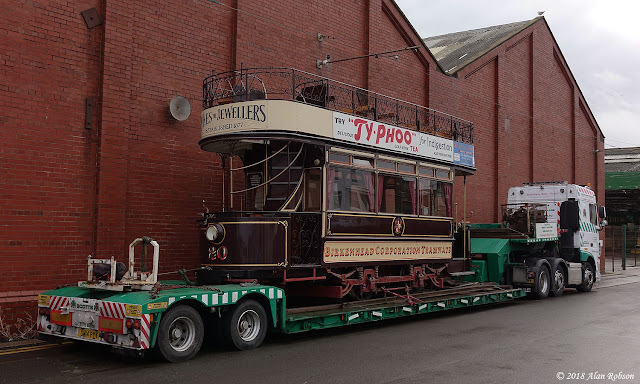 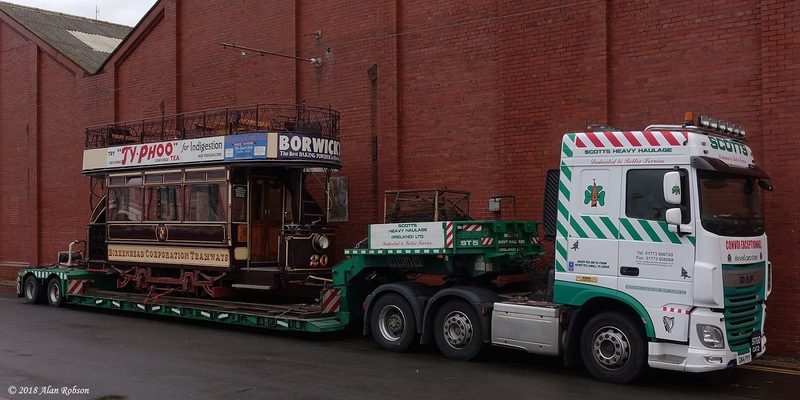 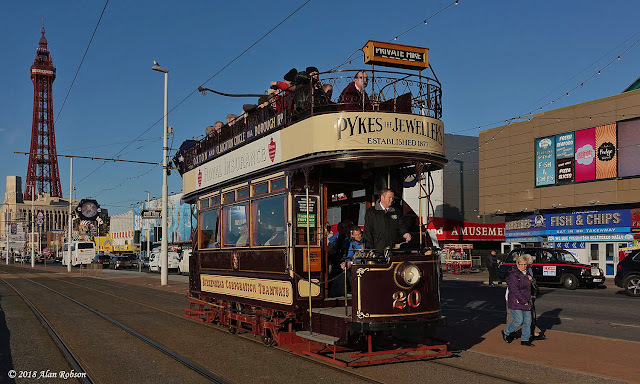 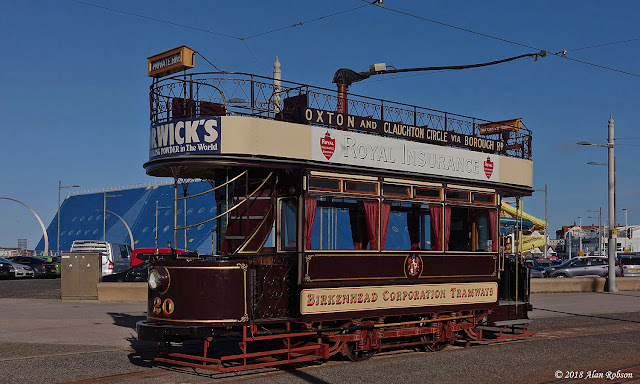 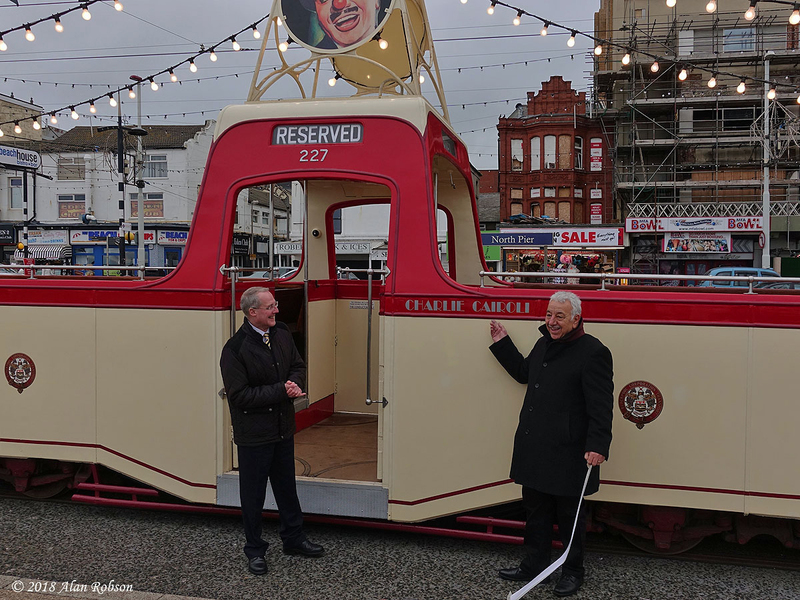 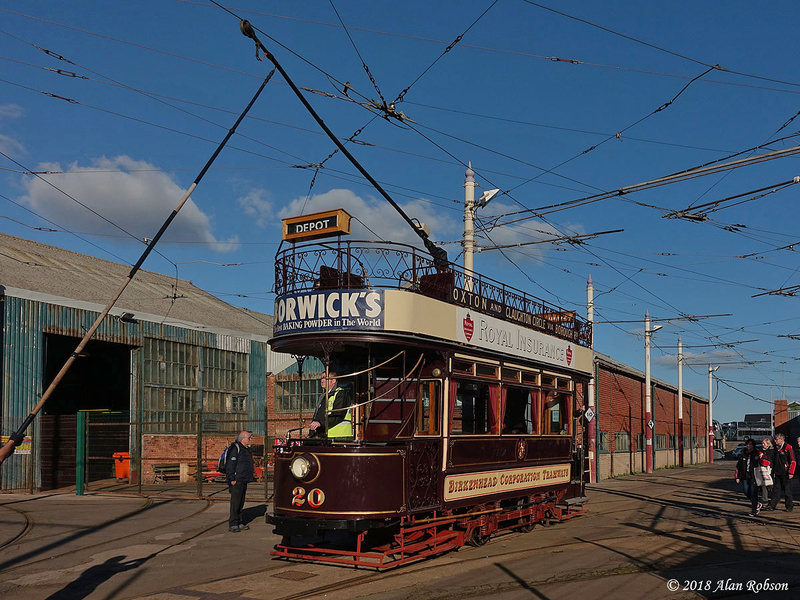 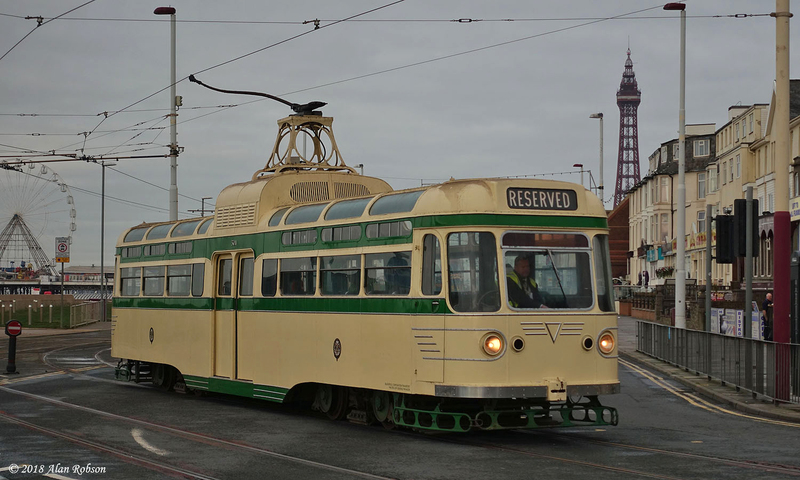 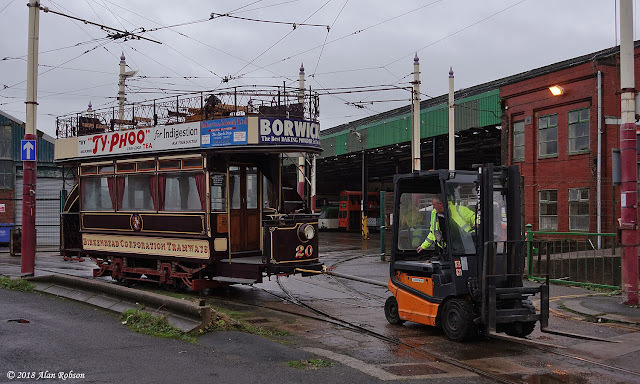 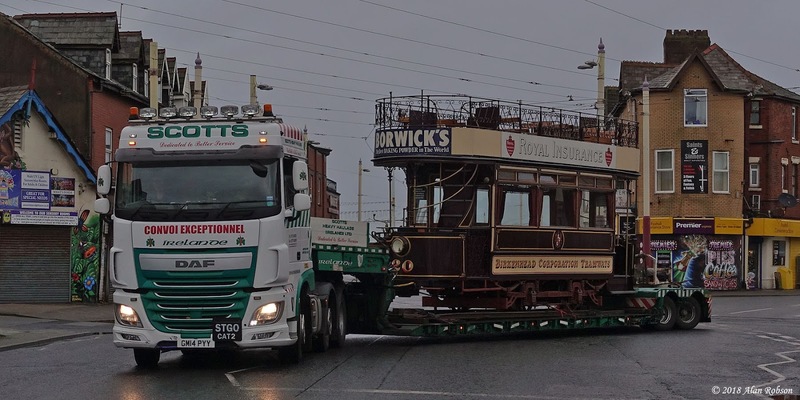 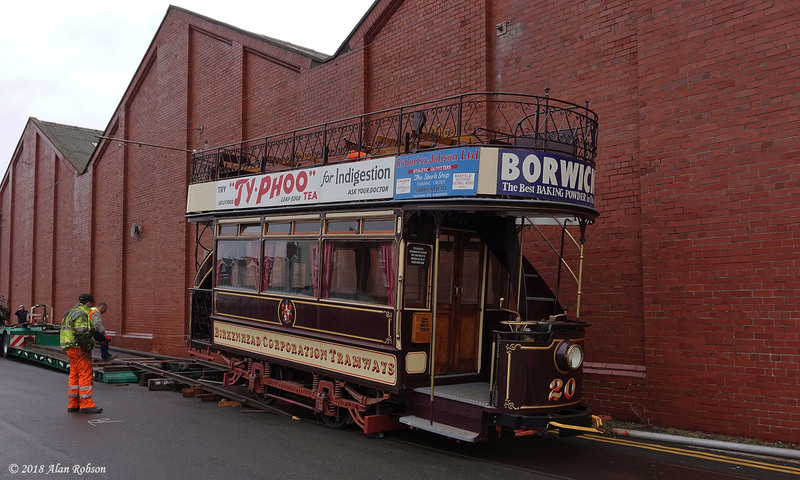 Birkenhead open-top tram 20 left Blackpool on 28th November to return to its home on the Wirral Tramway. 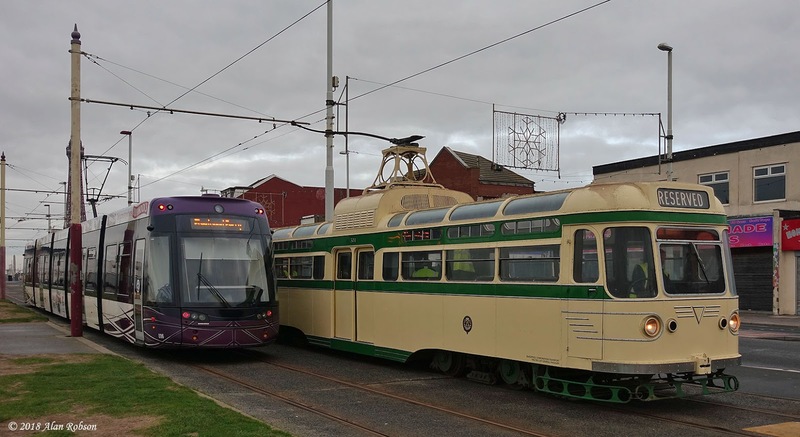 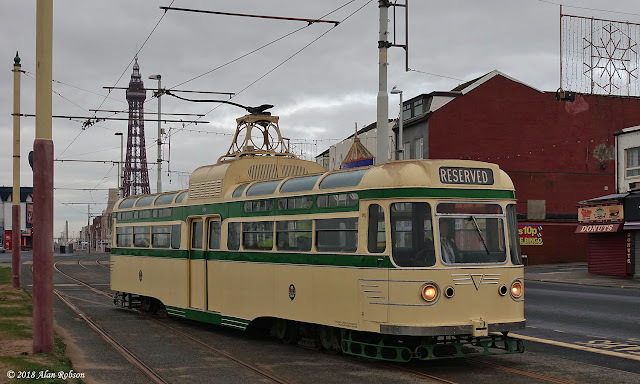 20 originally arrived on loan to the heritage fleet on 27th July 2017, but spent most of its time unused in the tram depot awaiting attention to its wheels, only seeing limited use during the last two months of its visit. 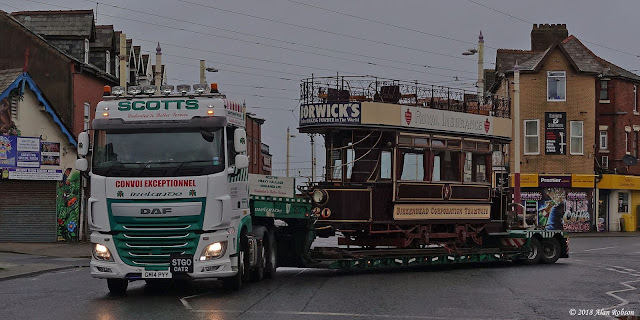 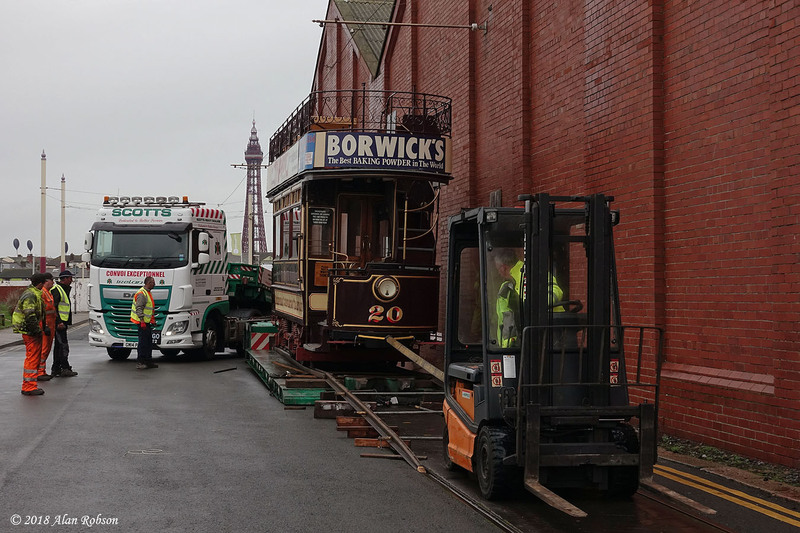 Scotts low loader arrived in Blundell Street shortly before 08:00 on Wednesday morning, by 10:30 the tram was loaded onto the trailer and had departed for its relatively short journey back to Birkenhead. 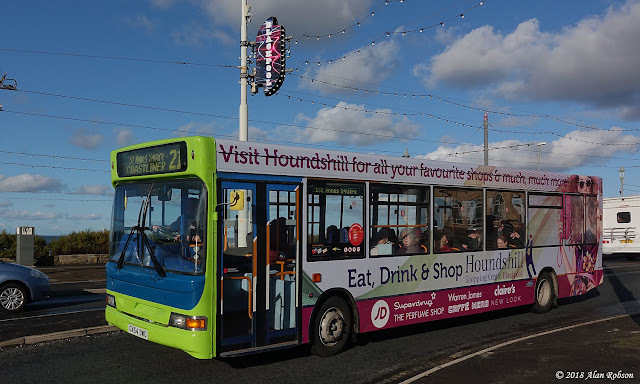 Former Stagecoach Midlands Dennis Dart GX54DWO has entered service with Catch22Bus carrying an all-over advert for the HoundsHill Shopping Centre in Blackpool. 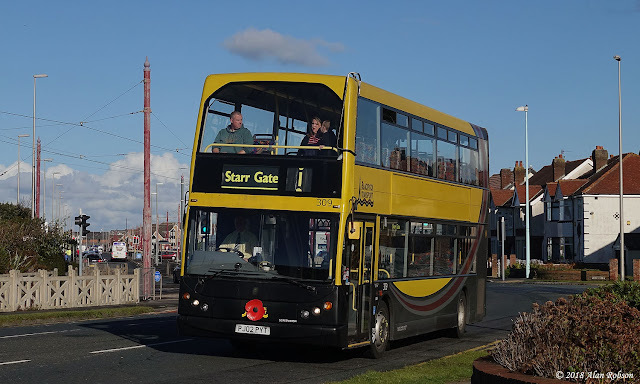 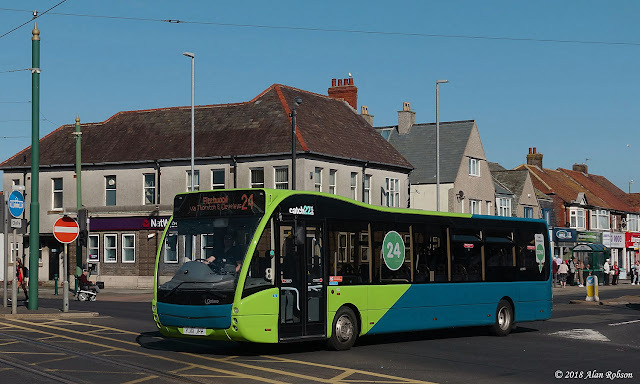 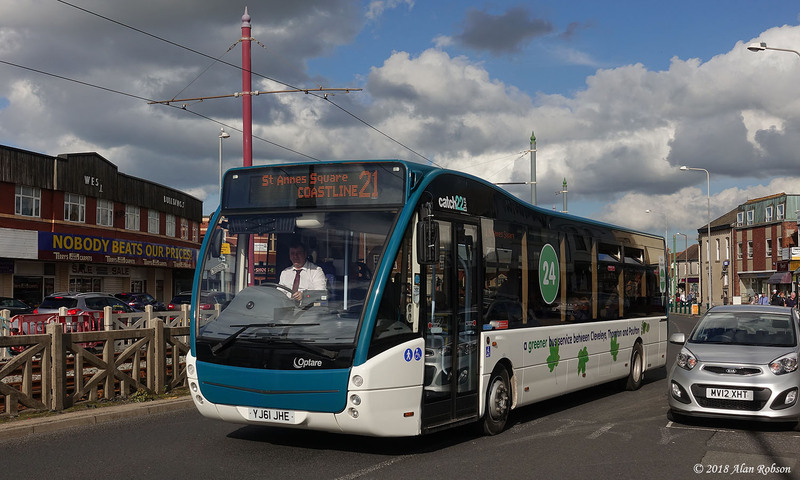 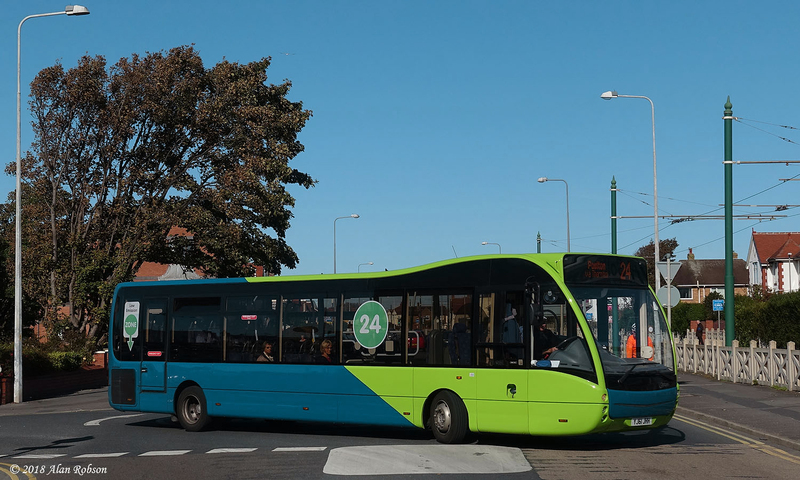 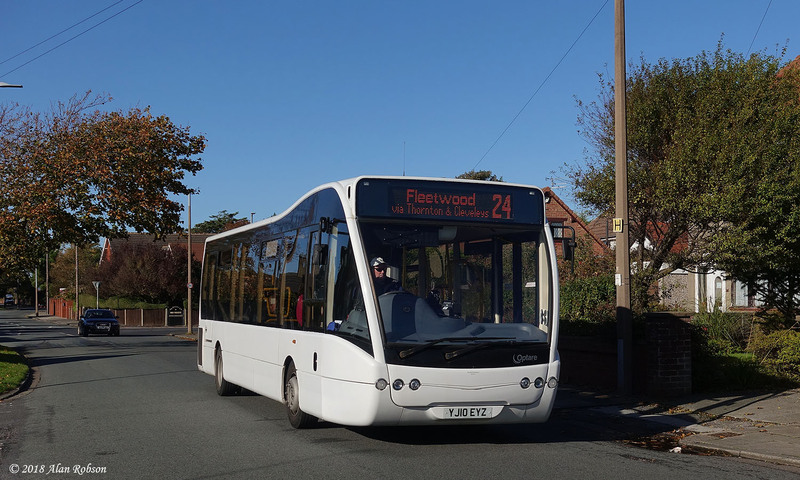 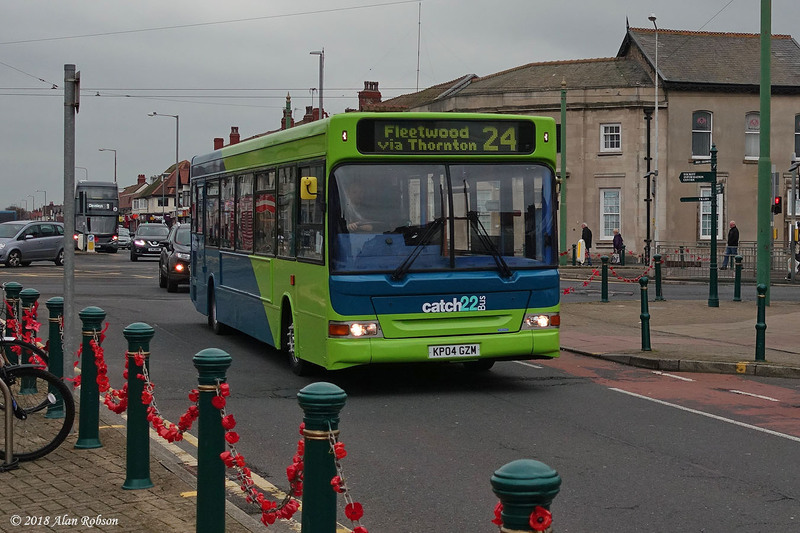 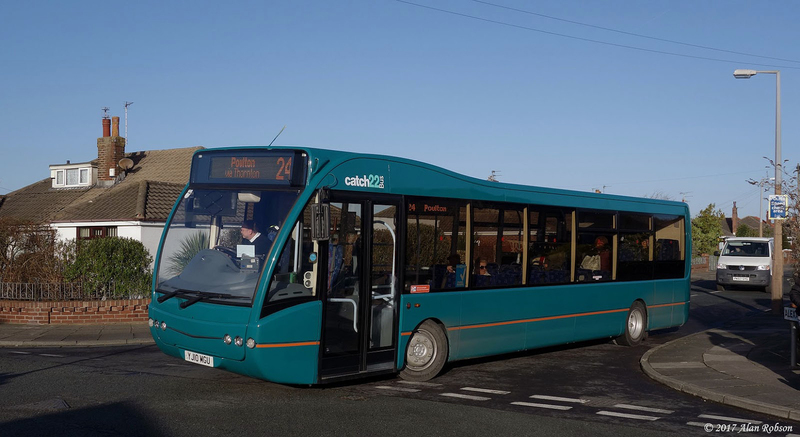 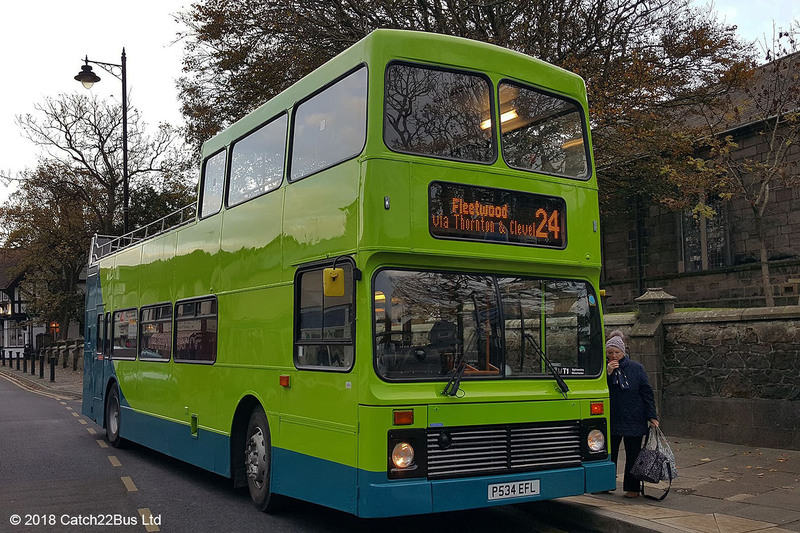 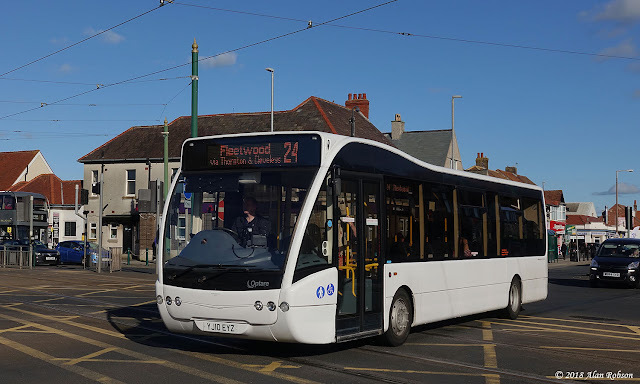 GX54DWO was noted in service on the Coastliner 21 route to St Annes this morning.